Haier 11.5 cu. 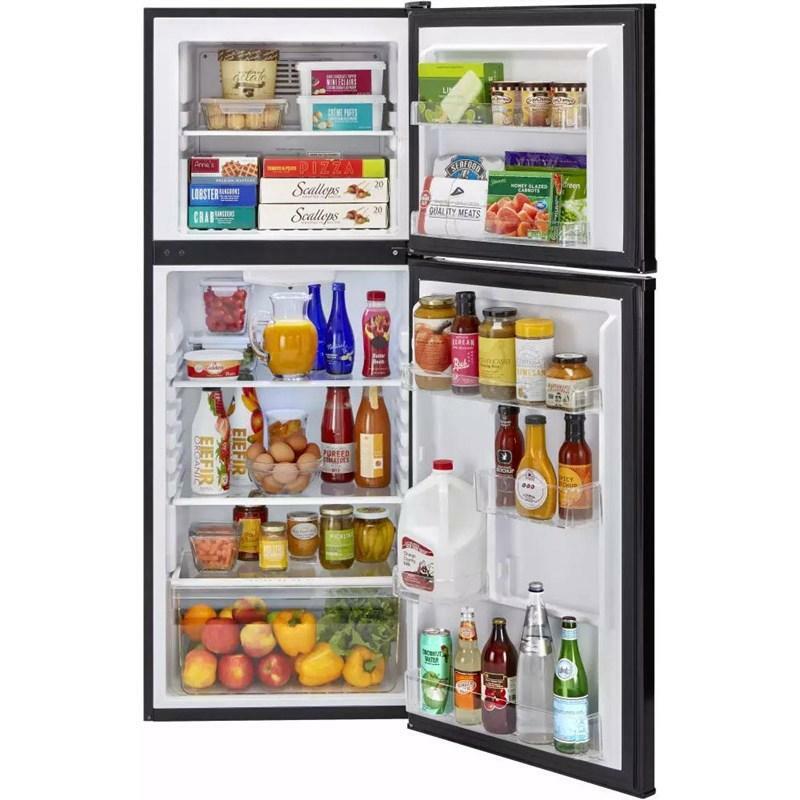 ft. top mount refrigerator featuring LED interior lighting, adjustable spill-proof glass shelves and clear humidity controlled crisper drawers. Total 11.58 cu. ft. / 0.33 cu. 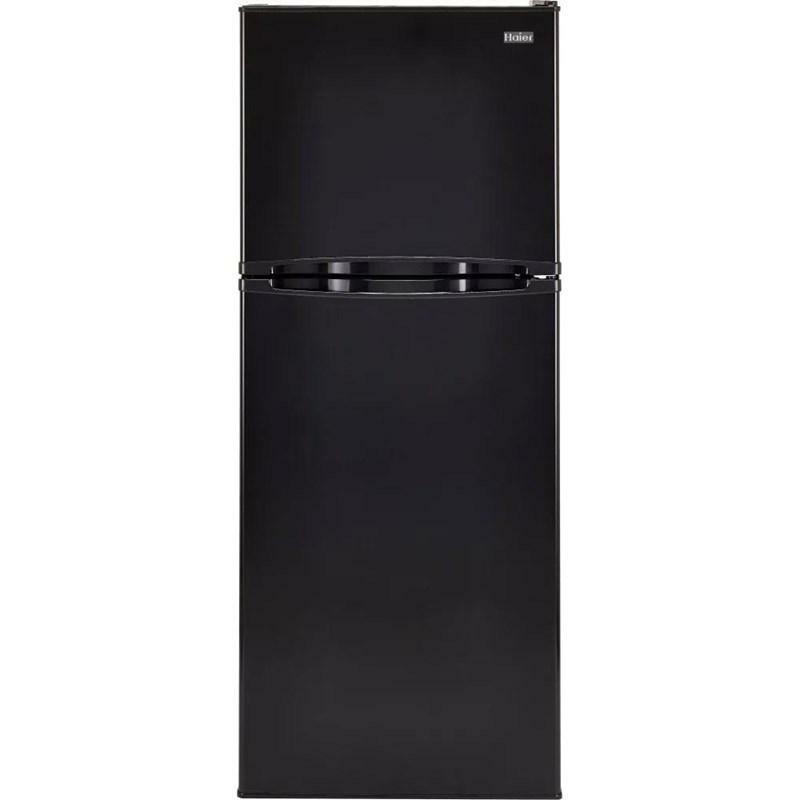 m.
Refrigerator 8.65 cu. ft. / 0.24 cu. m.
Freezer 2.88 cu. ft. / 0.08 cu. m.
Additional Dimensions Unit Dimensions (WxDxH): 23.40" × 28.20" × 59.50". Carton Dimensions (WxDxH): 23.50” x 28.30” x 59.70”.